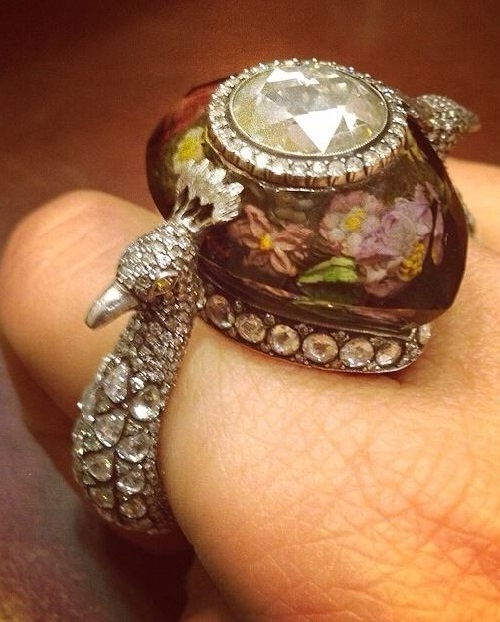 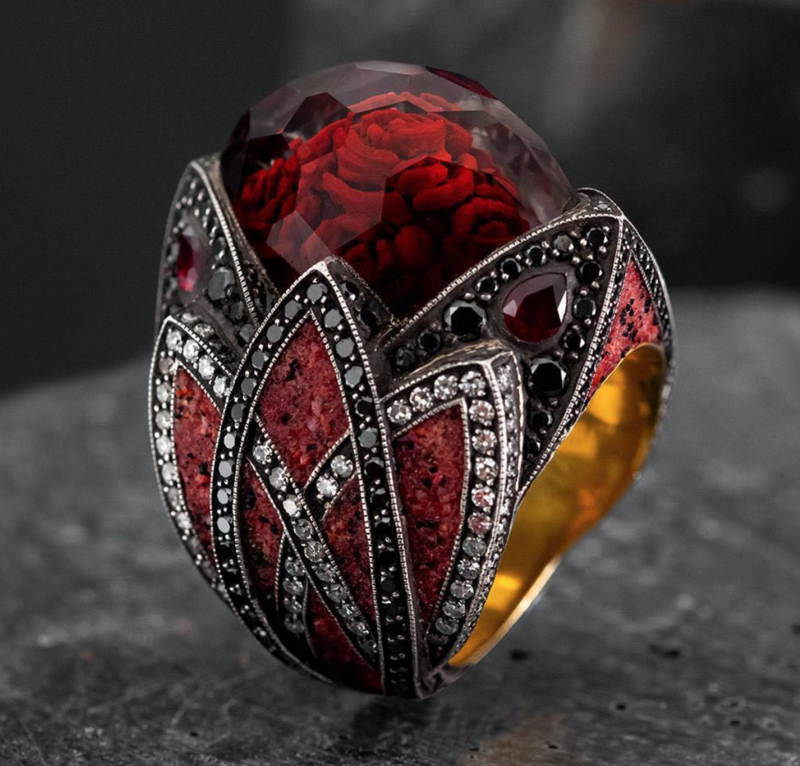 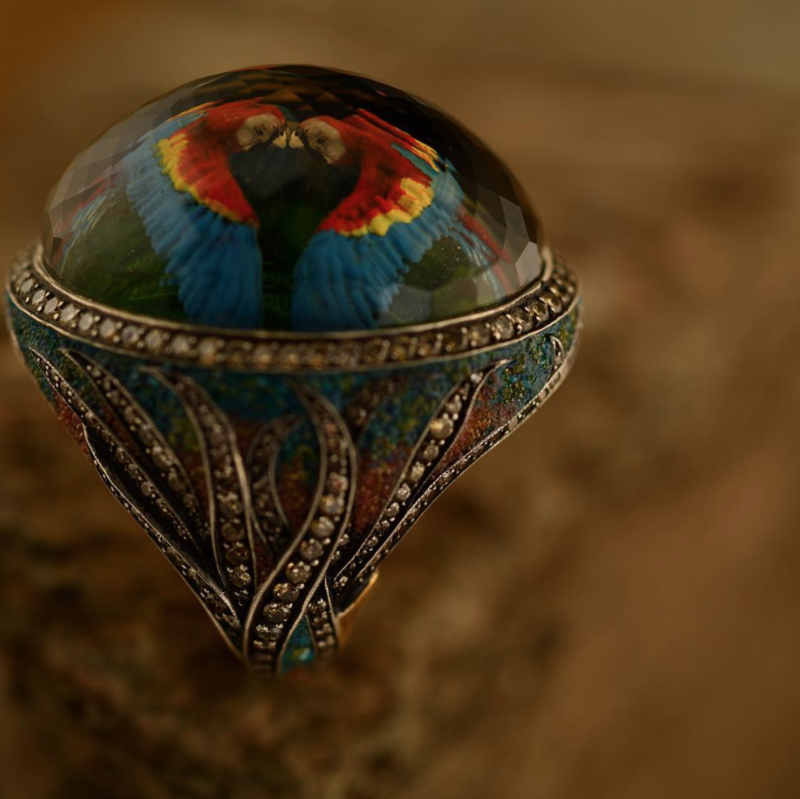 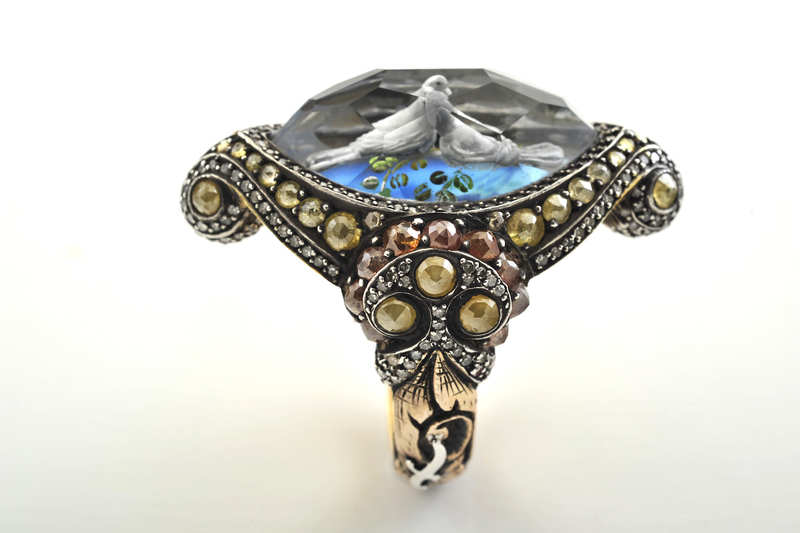 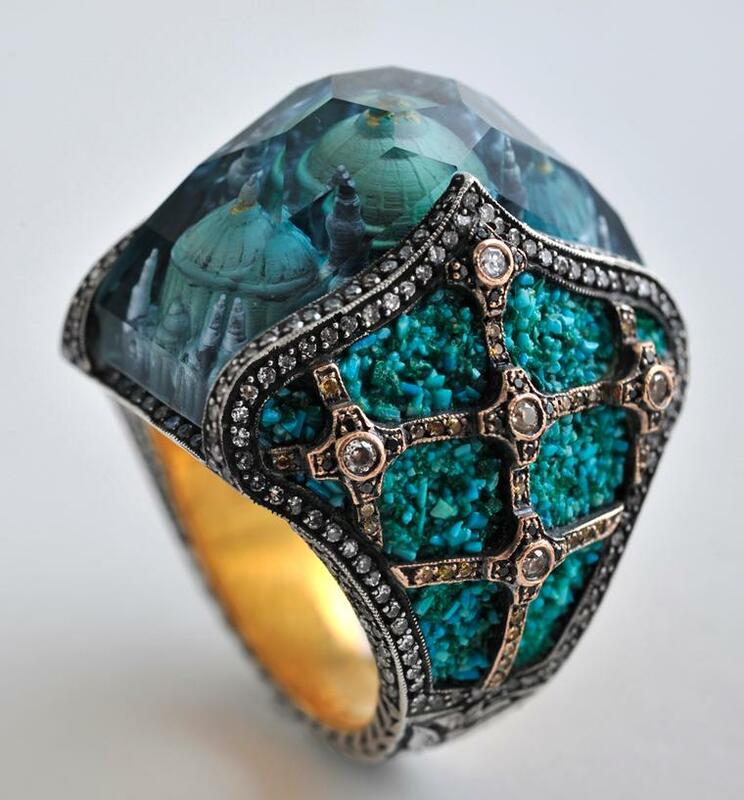 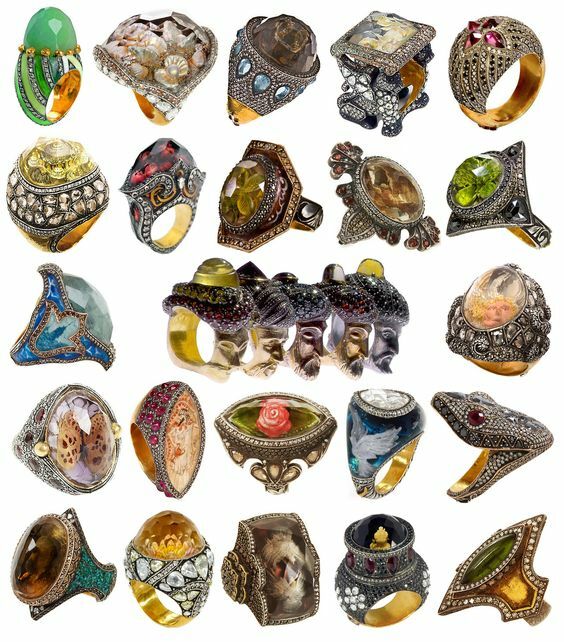 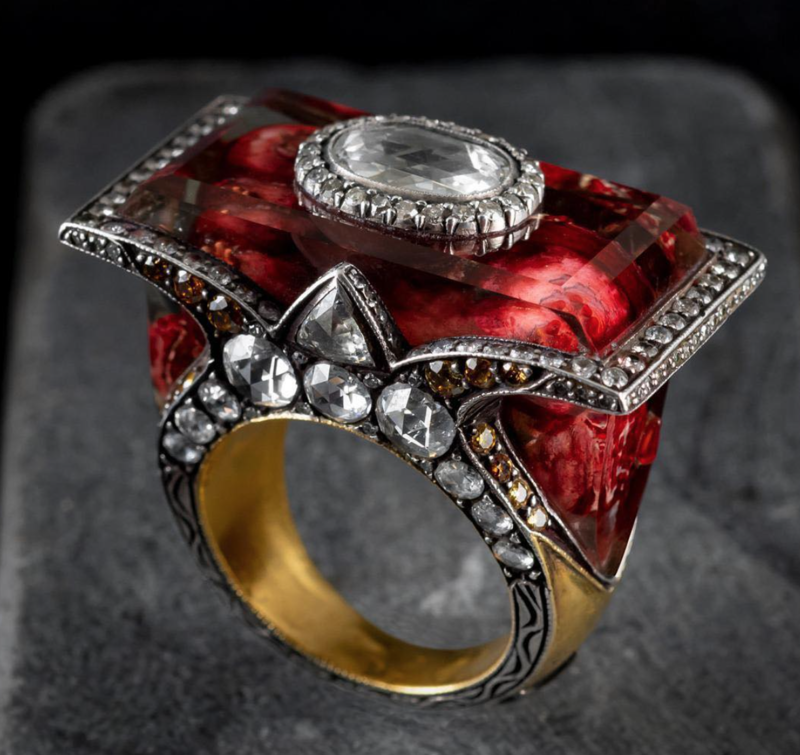 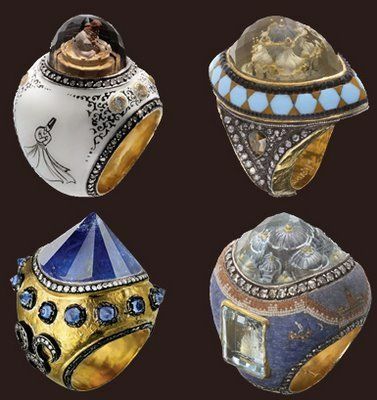 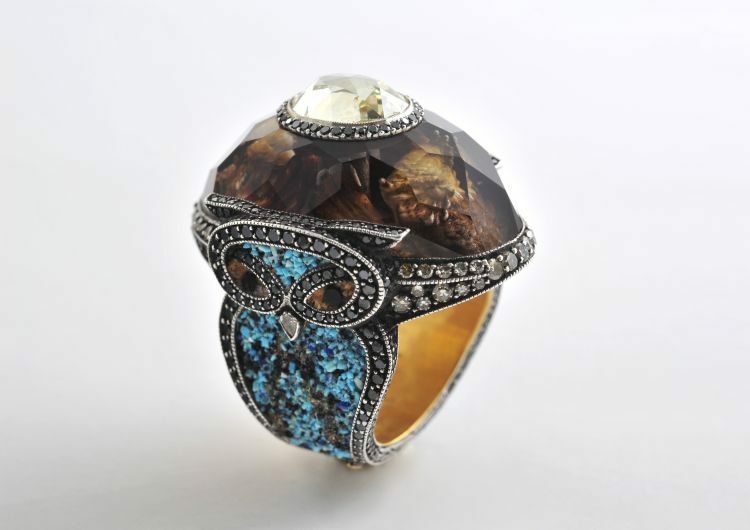 I love looking at the work of Sevan Bıçakç (also known as Sevan Bicakci), the Turkish-Armenian jeweller . 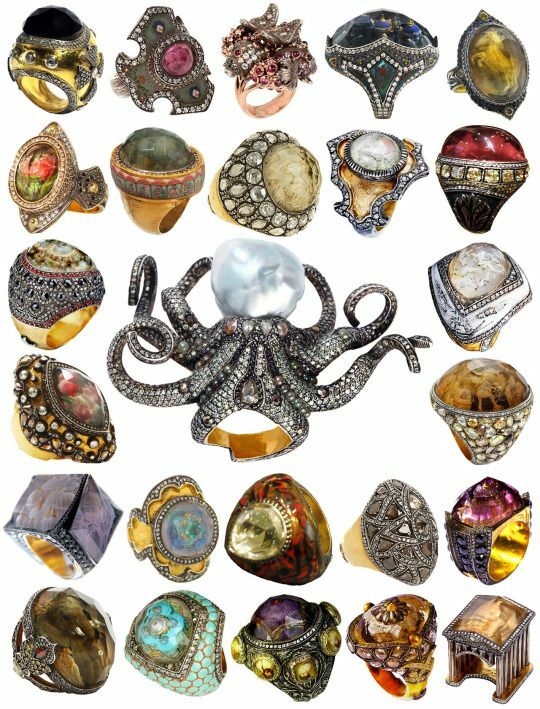 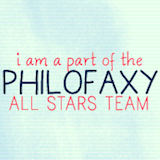 His rings are works of art, containing little worlds. 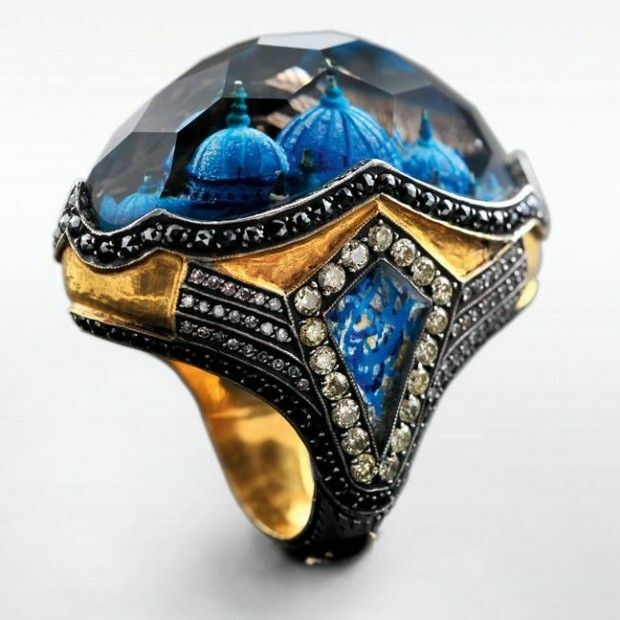 As a youth, like many even today in Turkey, he worked here and there in odd jobs, dropping out of school in the fifth grade and becoming an apprentice to a relative who was a goldsmith. 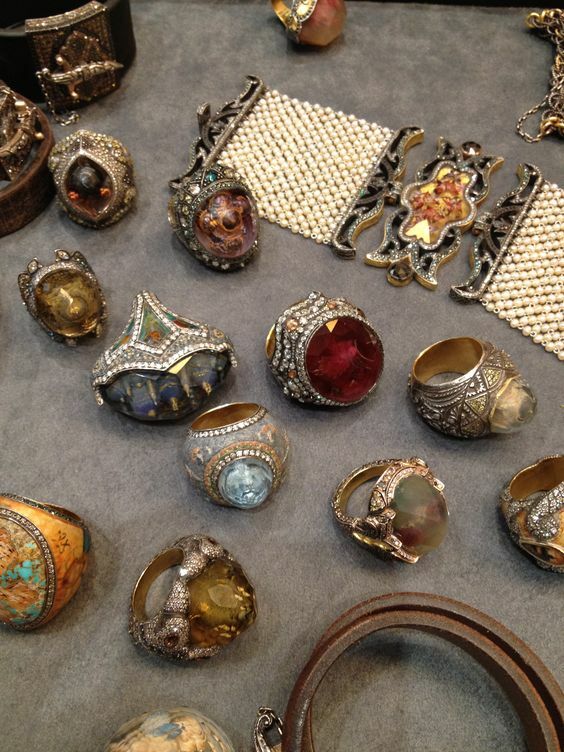 At 18, he opened his own workshop. 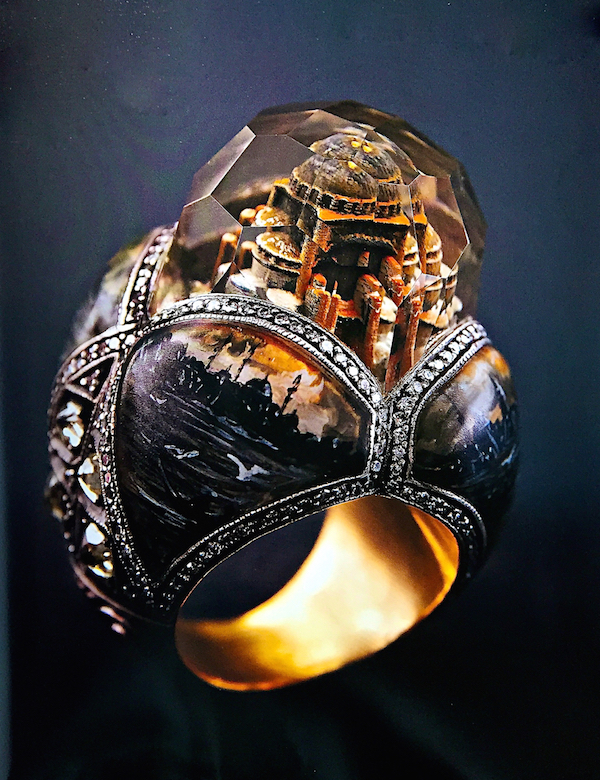 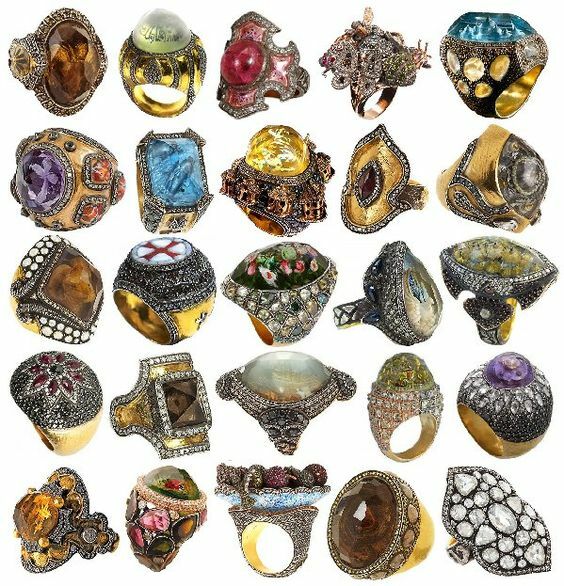 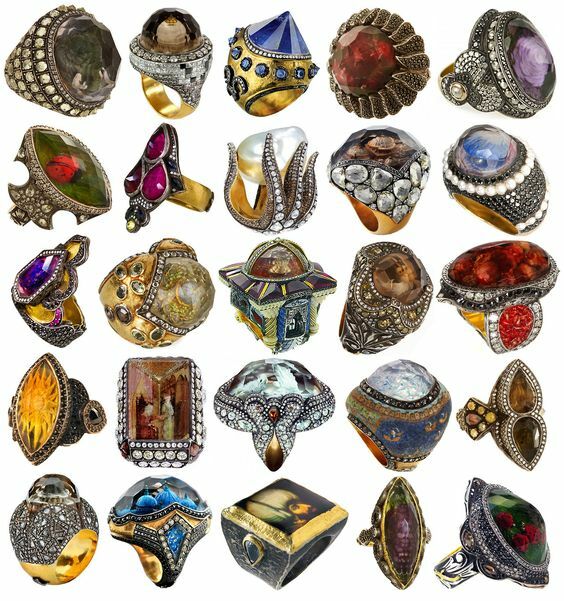 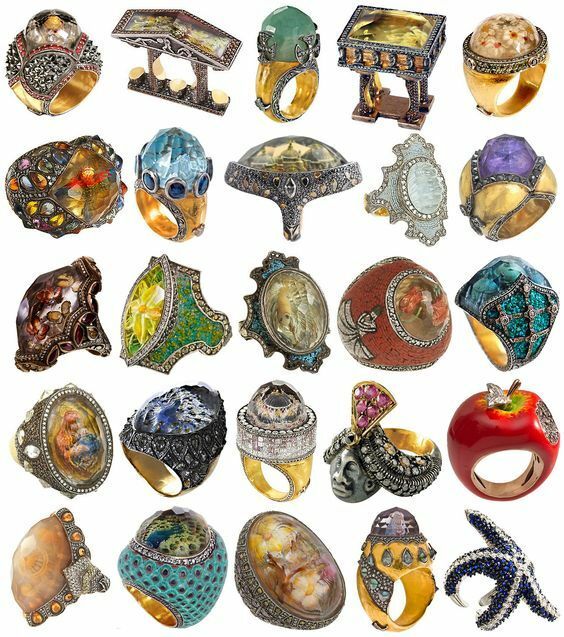 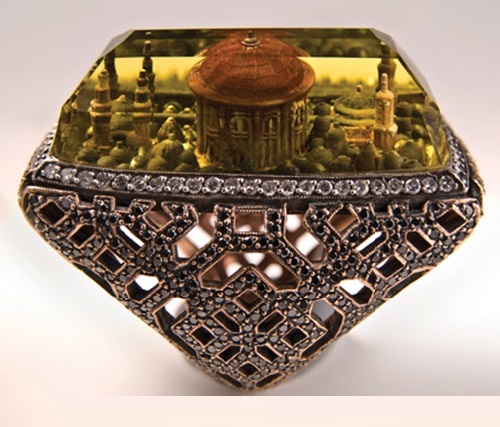 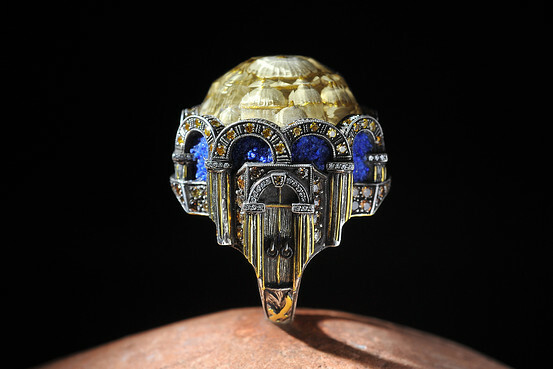 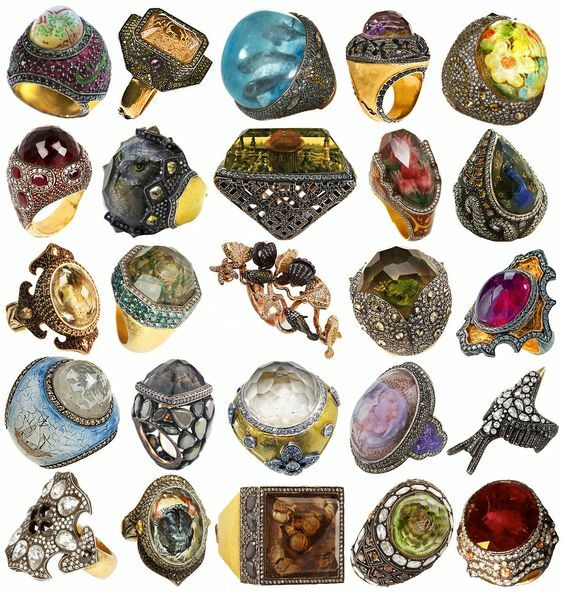 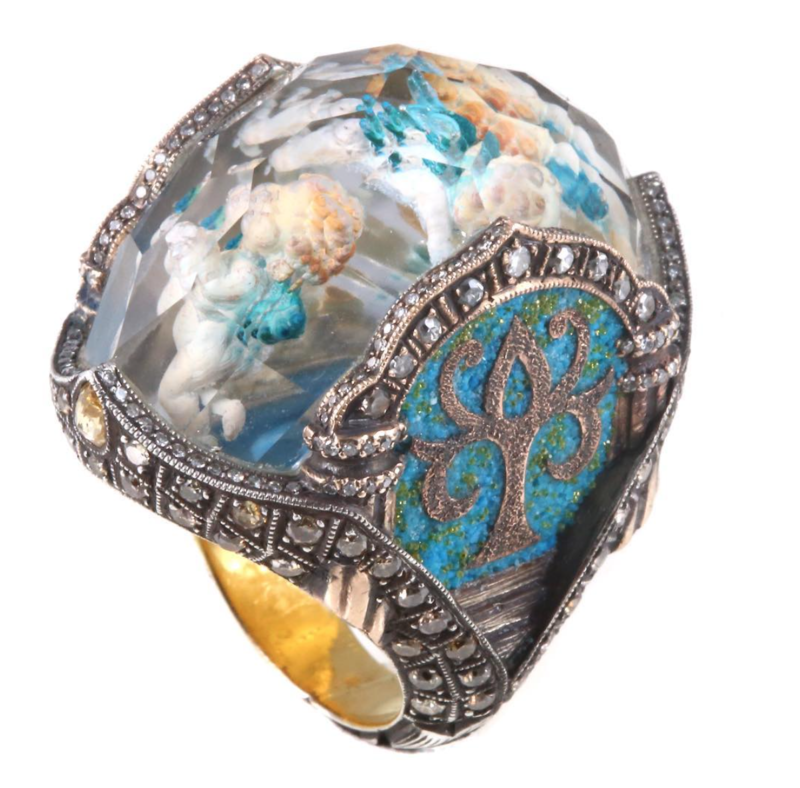 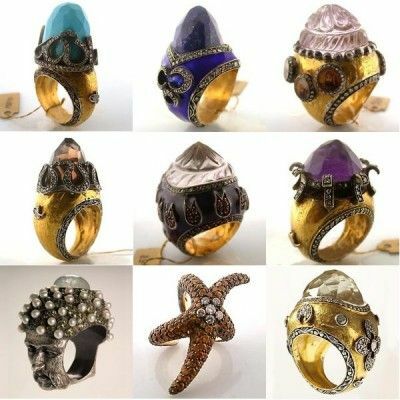 Now 42, Mr. Bicakci is known internationally thanks to pieces like his Haghia Sophia rings. 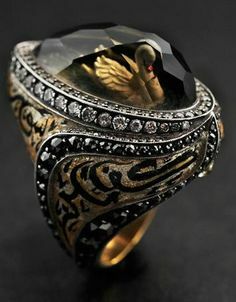 One, for example, of gold, silver, diamonds and enamel, shows the monument in miniature, seeming to float within a smoky quartz. 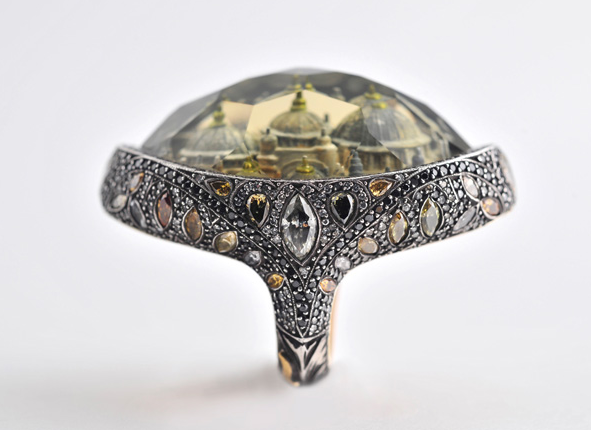 Another has a platinum and diamond Haghia Sophia set inside a rose quartz cabochon. 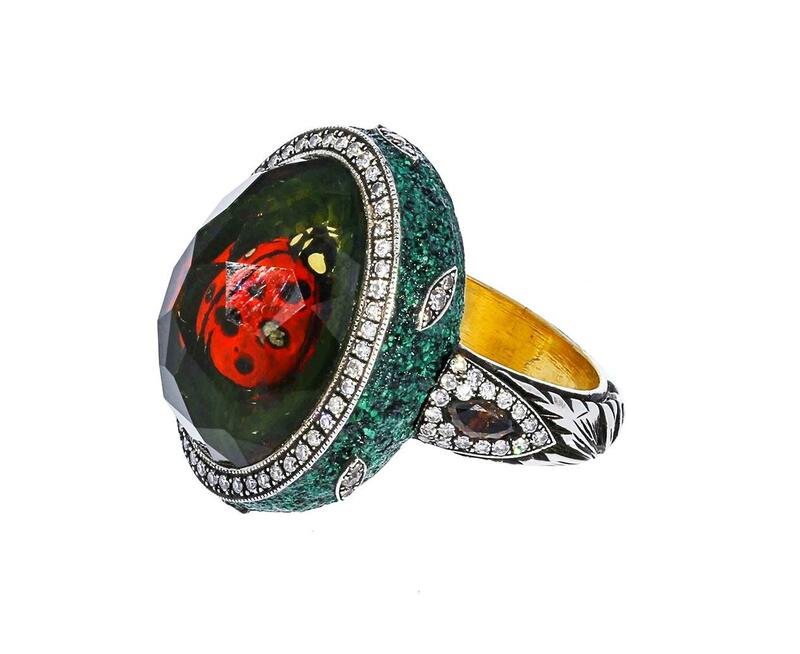 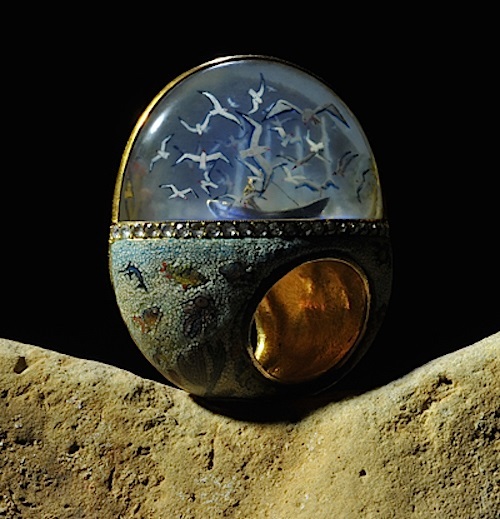 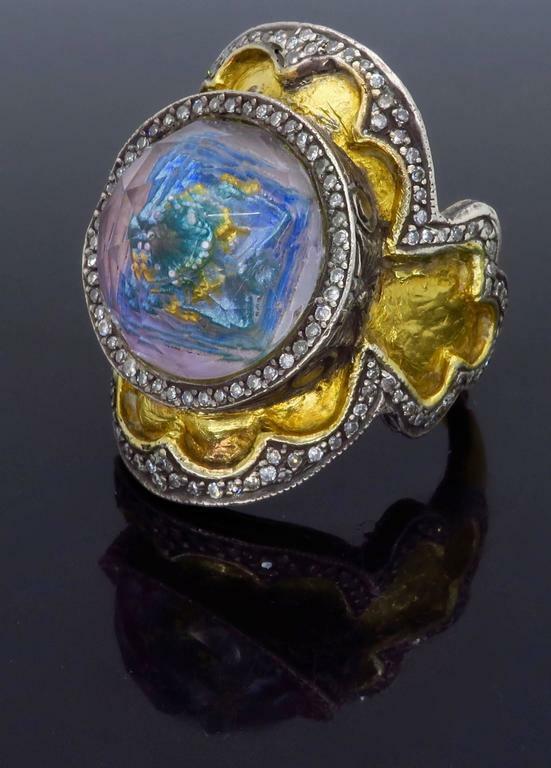 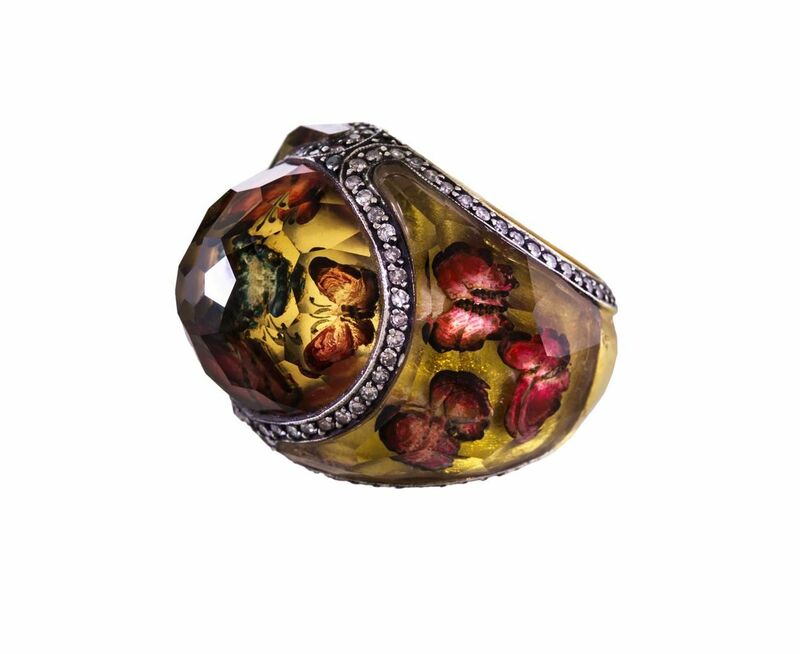 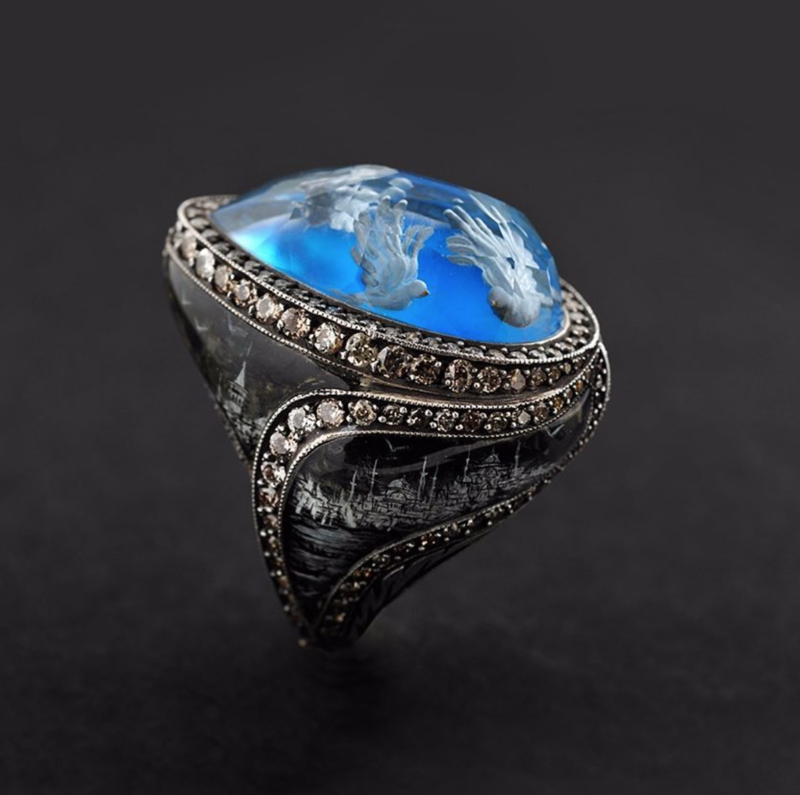 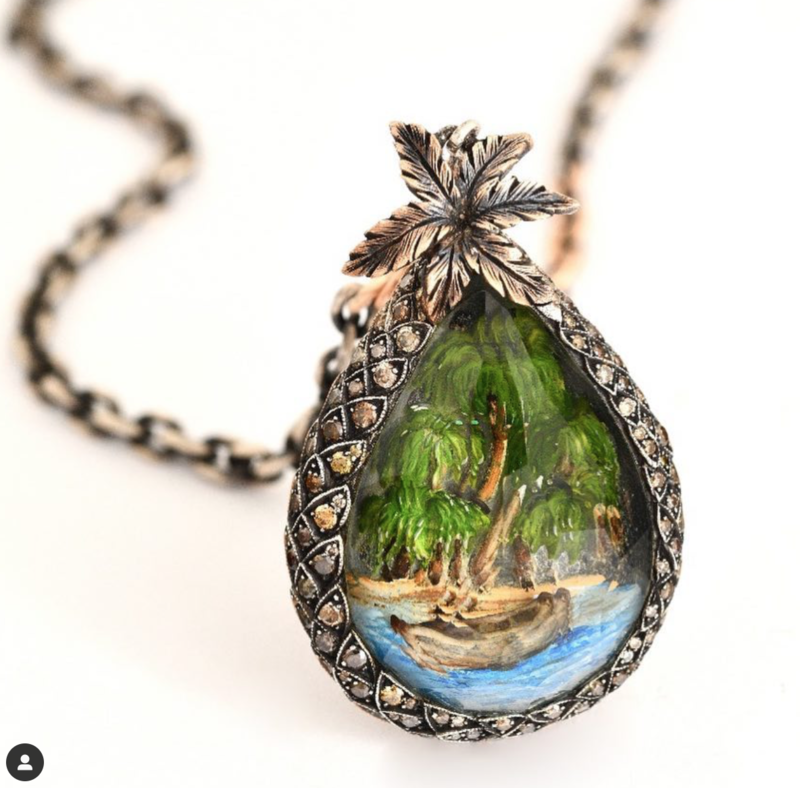 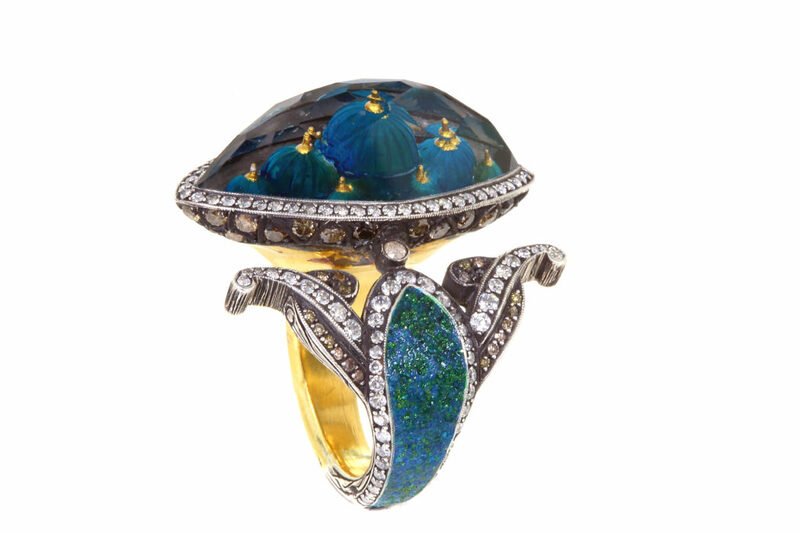 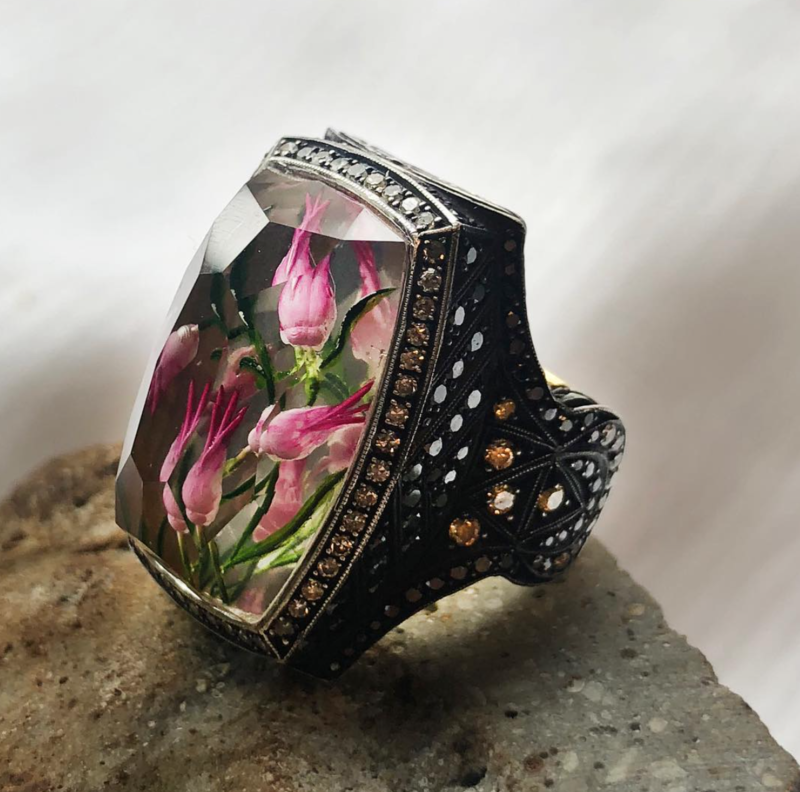 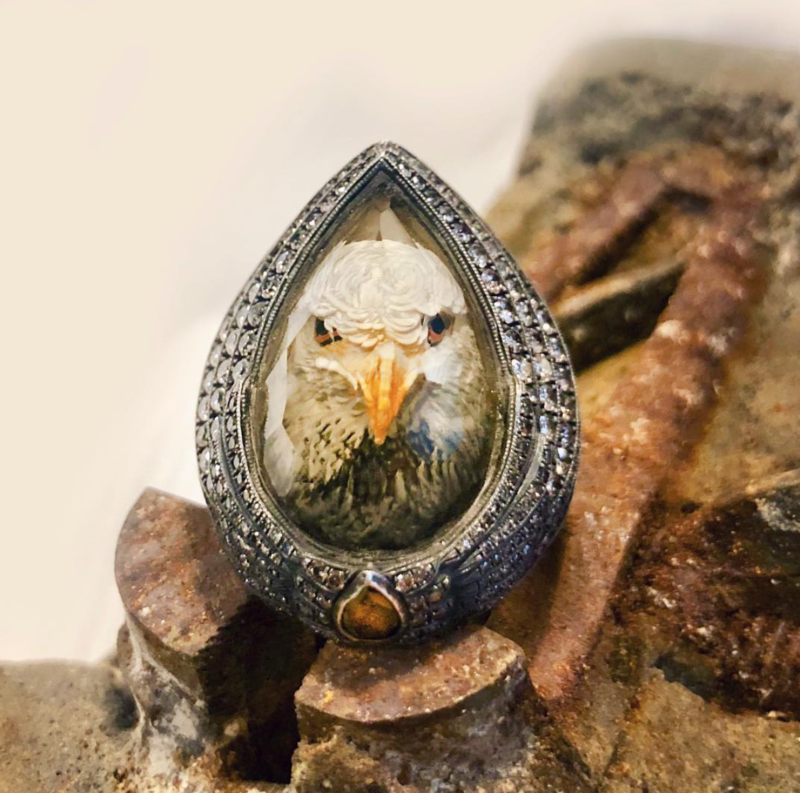 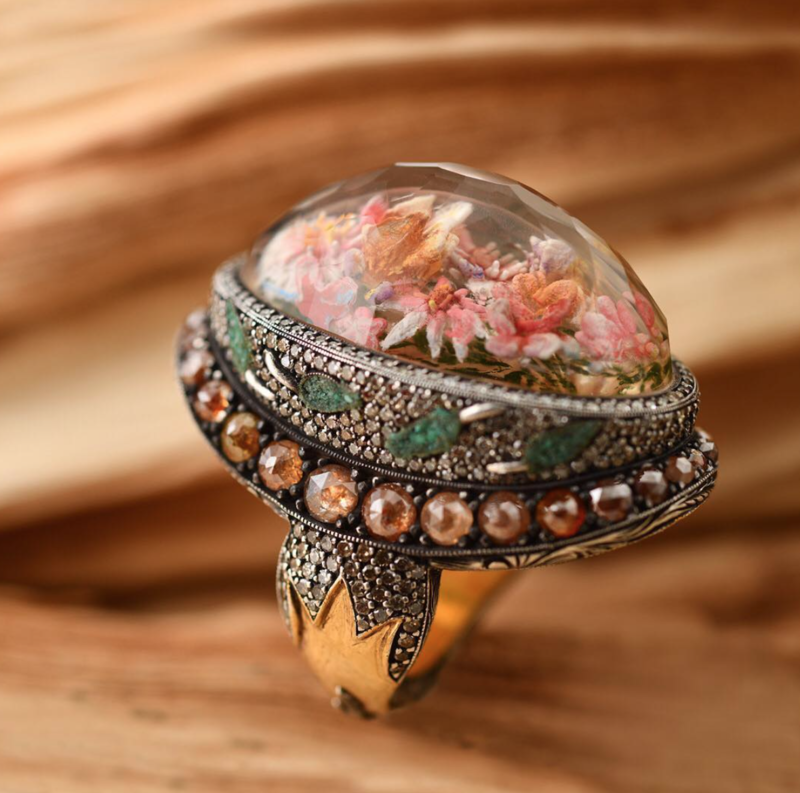 He makes them by sculpting translucent gemstones like aquamarines, citrines and even emeralds, using dentists’ tools to carve into the underside of the gems, a slow and painstaking process known as inverse intaglio. 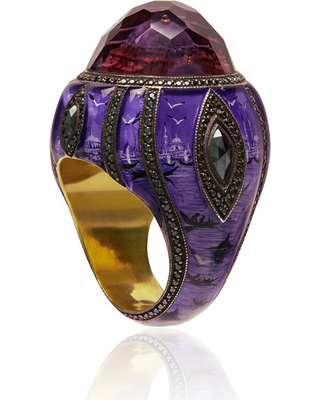 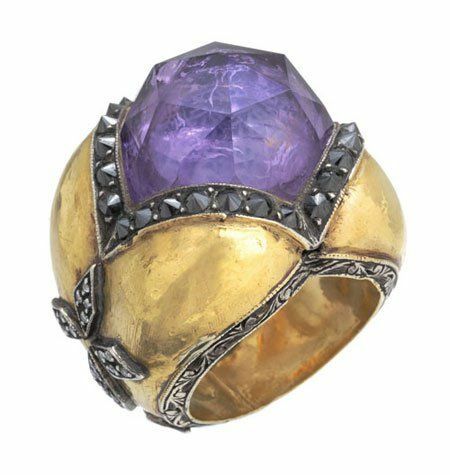 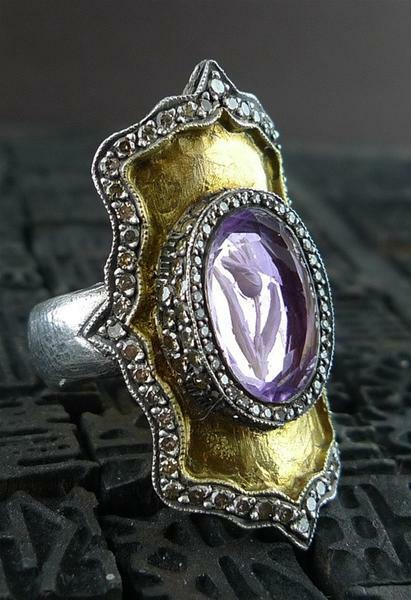 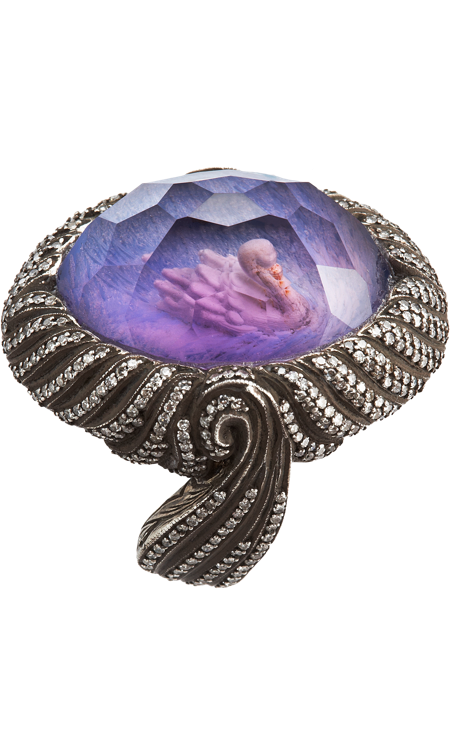 The shapes are not always of buildings: A “Lalezar” or Tulip Garden ring features petals engraved inside an amethyst. 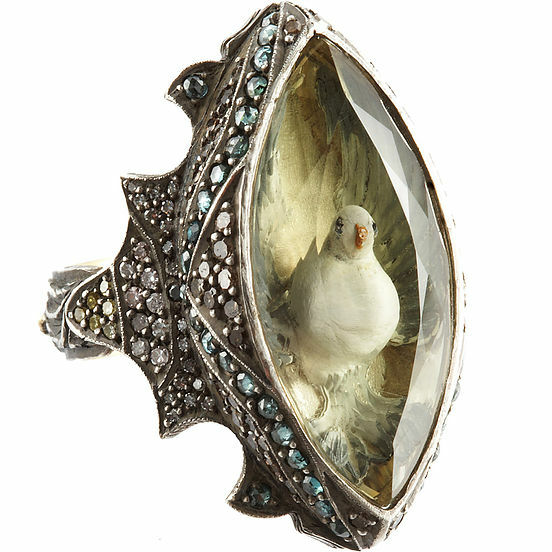 The technique can be risky.